William Smith was an English geologist known as the "father of stratigraphy". He established that similar sedimentary rock strata in different places may be dated by identifying the fossils each level contains, and made the first geological map of England and Wales. 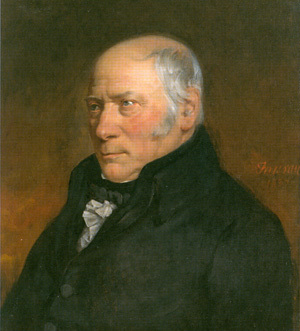 Born at Churchill, in Oxfordshire, the son of a blacksmith, William Smith became a land-surveyor and engineer, and so was naturally drawn to geology. In 1794, after his appointment as engineer to the Somerset Coal Canal, he began his study of the strata of England. His epoch-making Geological Map of England was published in 1815, and from 1819 to 1824 he published 21 geologically-colored maps of the English counties, helped in this latter task by his nephew and pupil, John Phillips, who went on to become a professor at Oxford. Smith died at Northampton and was buried there in the oolite, as he had been born with it.